Entangled Territorialities offers vivid ethnographic examples of how Indigenous lands in Australia and Canada are tangled with governments, industries, and mainstream society. Most of the entangled lands to which Indigenous peoples are connected have been physically transformed and their ecological balance destroyed. Each chapter in this volume refers to specific circumstances in which Indigenous peoples have become intertwined with non-Aboriginal institutions and projects including the construction of hydroelectric dams and open mining pits. Long after the agents of resource extraction have abandoned these lands to their fate, Indigenous peoples will continue to claim ancestral ties and responsibilities that cannot be understood by agents of capitalism. 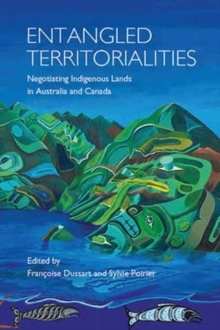 The editors and contributors to this volume develop an anthropology of entanglement to further examine the larger debates about the vexed relationships between settlers and indigenous peoples over the meaning, knowledge, and management of traditionally-owned lands.